It is Friday and it is time for a freebie. 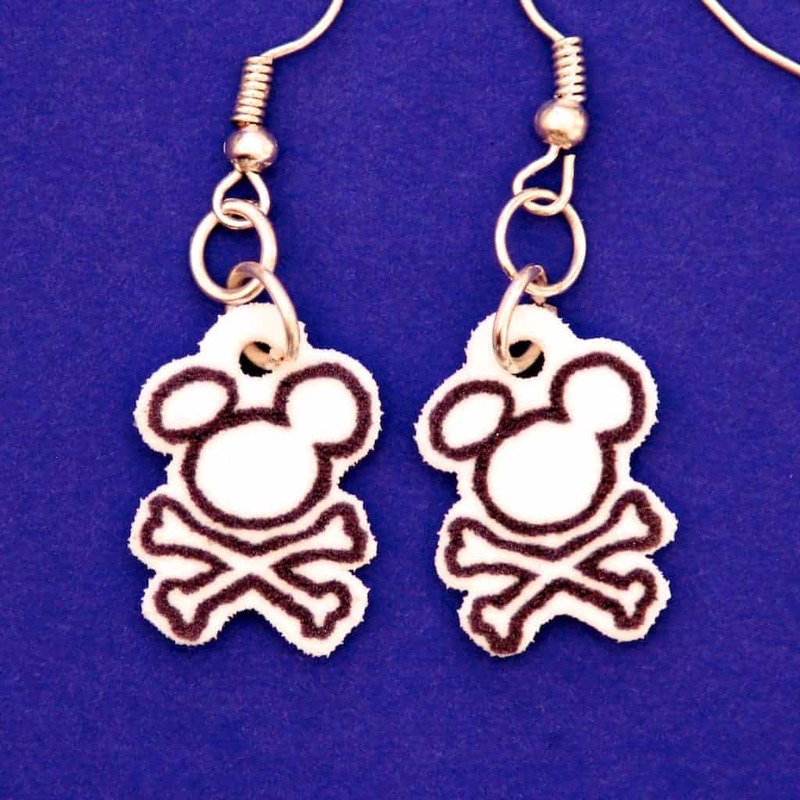 Download a page of Pirate Mickey charms and print it on Shrinky Dink paper to make a great Fish Extender gift. 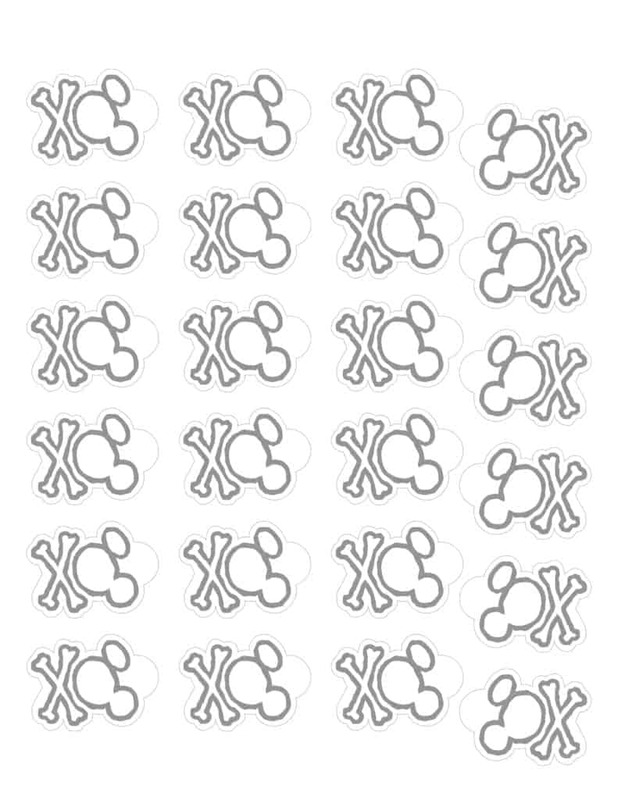 You can add it to a necklace, make into earrings, bracelets, or barrettes You will also need some jump rings to attach the charms. To use your charm as a bracelet or necklace pendant, you need to punch the holes before you bake them. If you wish to use the charm for a barrette, simply cut off the hole before you bake them. Follow the baking instructions on the shrink paper package to bake the charms in a toaster oven or conventional oven. Do not allow children to use the oven. If the charm is still slightly curled when it is finished baking, use a piece of cardboard, book, or a spatula to flatten it completely. Add the charms usin jump rings and jewellery chain to create a charm bracelet or necklaceor attach them to a cell phone charm strap or zipper pulls. You can also glue charms to barrettes and hair pins. 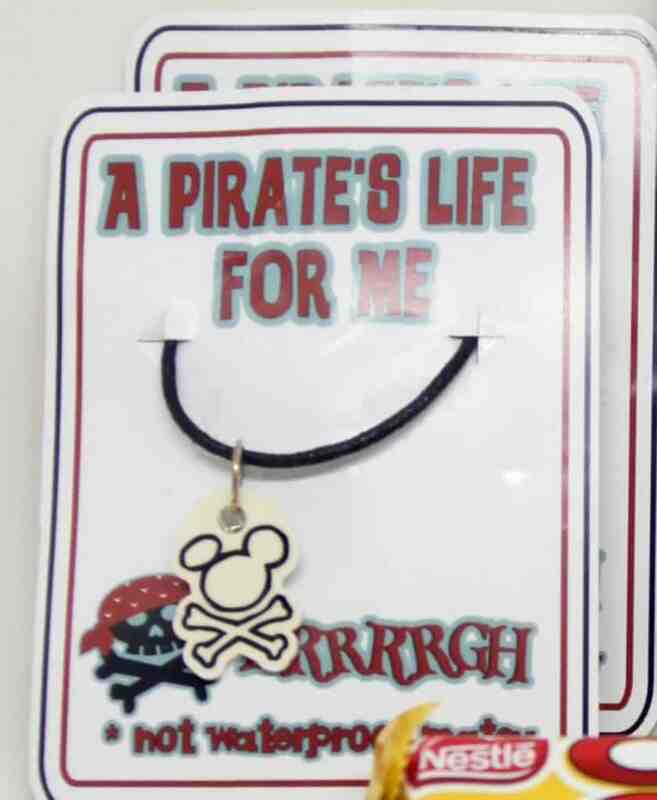 Check back next week to download the pirate necklace backing card to give your gifts a professional look. The card is in the picture at the top of the page. 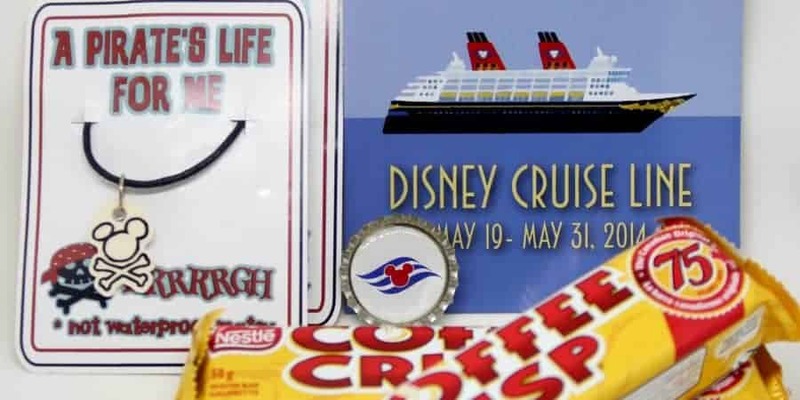 Check out my trip report for London and the Westbound transatlantic cruise on the Disney Magic. Also see my cabin tours of two secret porthole rooms, 5520 and 6006.